Amazing to see mediation being used so successfully, it makes you question why more schools don't follow suit. We've all heard the benefits of yoga and meditation but one school have taken this one step further by taking away traditional forms for punishment and instead adopting a more zen-like teaching. 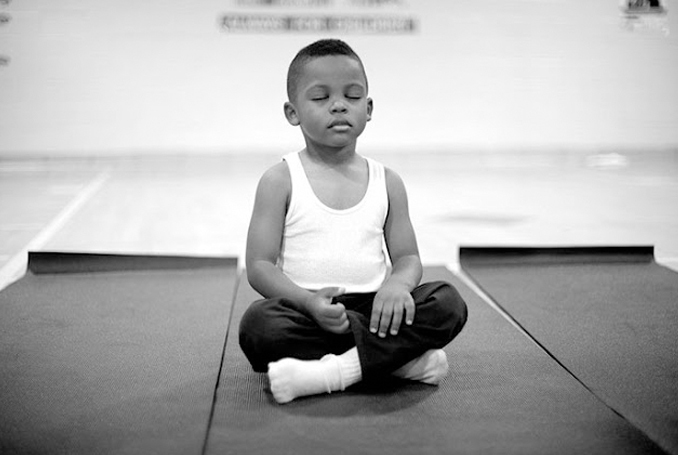 The Robert W Coleman School in Baltimore collaborated with the Holistic Life Foundation to create a Mindful Moment Room as part of their after school programmed designed to help children practice mindful meditation. As part of the initiative children are also encourage to speak with behavioural professionals allowing a partnership to be built between students and teachers. The results are astounding with the school confirming that they haven't issued a single suspension in two years since the initiative launched.